Last weekend I had the opportunity to travel to New York City to attend the She Streams conference. She Streams is for women bloggers who are already, or would like to be, using video on their websites. The conference started Friday morning so lots of people made arrangements to arrive in New York on Thursday. My friend Erin Lane of A Parenting Production asked if anyone was interested in seeing a show. I was definitely interested plus Shannon Ott of Philly Burb Moms and Colleen Padilla of Classy Mommy were up for it so we all made plans to go see WICKED. From the official website, WICKED the Musical is "winner of 35 awards including a Grammy and 3 Tony Awards. 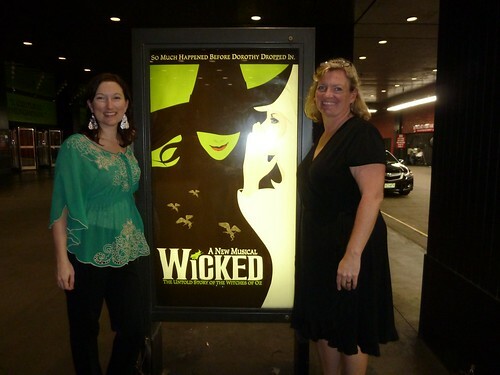 WICKED is the untold story of the witches of Oz. Long before Dorothy drops in, two other girls meet in the land of Oz. One, born with emerald-green skin, is smart, fiery, and misunderstood. The other is beautiful, ambitious, and very popular. WICKED tells the story of their remarkable odyssey, how these two unlikely friends grow to become the Wicked Witch of the West and Glinda the Good." It was also, AMAZING. I loved every minute of it. But then the best part happened. 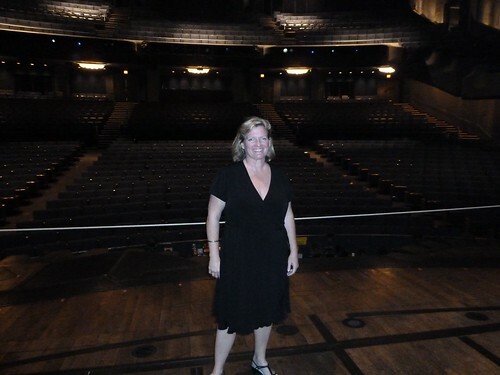 Erin has a friend who has a friend performing in WICKED right now and we were able to go backstage. I'm not going to give his name here, even though he's ridiculously handsome and one of my favorite people right now. We might have handled some of the props and I would hate for him to get in trouble. More to come soon about the conference. 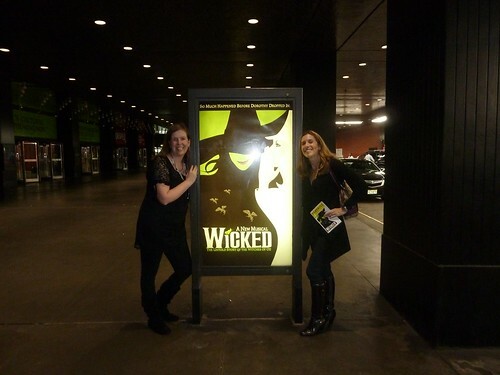 In the meantime, if you have the opportunity either on Broadway or a touring show, go see WICKED. It helped me finally put my flying monkey issues to bed. Looks like SO much fun!!!! I wish I would have been able to get there in time to go with y'all!